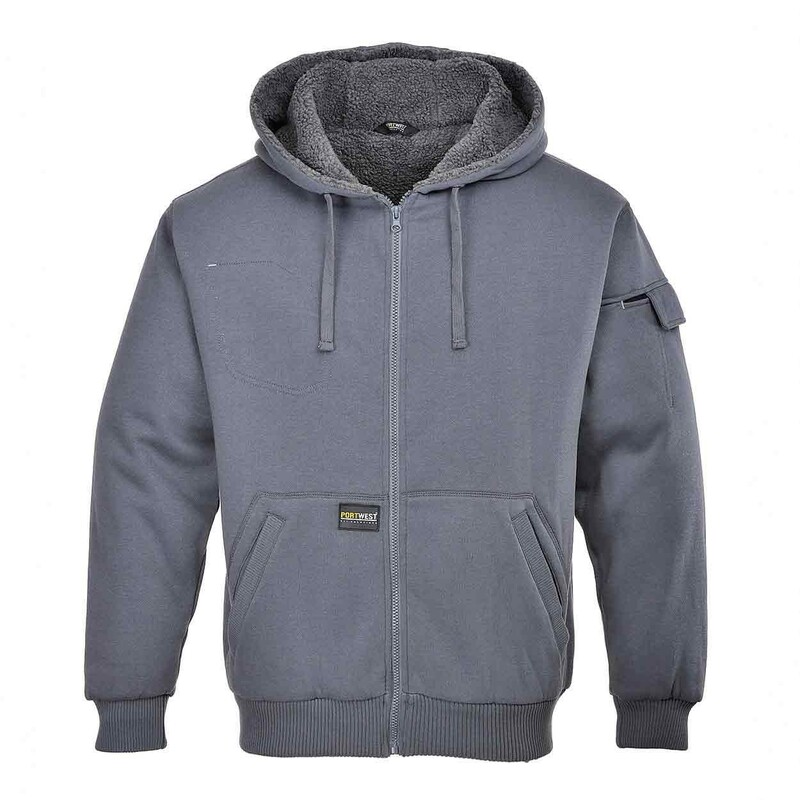 The Portwest Pewter Jacket is ideal for cool outdoor conditions. 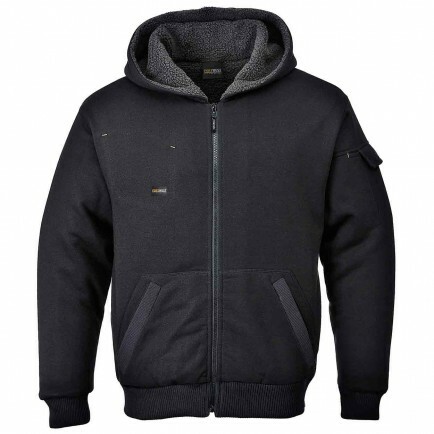 Ideal for cool outdoor conditions this jacket offers great function and style. The inner Sherpa pile lining traps warmth around the torso area, while lightly padded sleeves reduce bulk and allow great reach and movement. Features include an inner zip pocket, dedicated phone and pen pocket and print access. Ask us about our embroidery options for this garment.